From its inception, Splash Math has made a difference in the lives of more than 4 million children worldwide. This has been made possible with your support! During this journey, we have learnt that Splash Math is the preferred learning tool for children with special needs too, especially those with Autism*. On the occasion of World Autism Awareness Day (April 2nd), we are very proud to announce our collaboration with Autism Speaks to raise awareness about Autism Spectrum Disorders. To this effect, we will be contributing 50% of our revenue from www.splashmath.com this entire week (April 2nd-9th) to Autism Speaks. 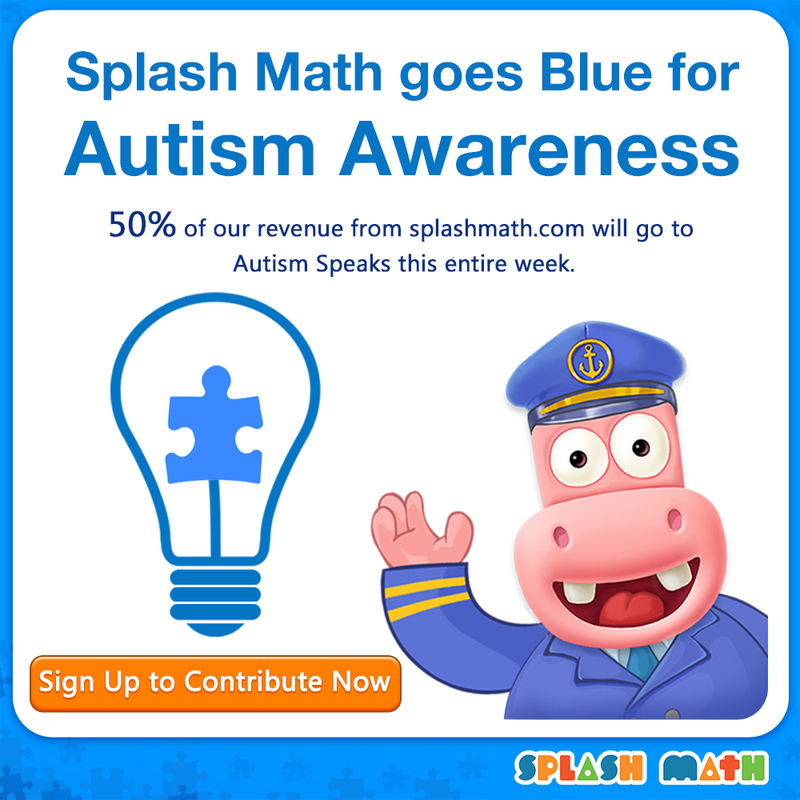 Come be a part of this awareness initiative and help Splash Math make a difference in the lives of children with Autism! *To elaborate, children with Autism, Attention Deficit Hyperactivity Disorder, Dyslexia and other general Developmental Delays are using Splash Math as a tool to learn basic Math concepts. Teachers have also observed that the common core aligned content of Splash Math allows them to track the progress of each of these kids as per their Individual Education Plans and the voice-overs & graded worksheets help in reinforcing learning. Parents too, are convinced that Splash Math is helping their children succeed at Math.